The Shaw Festival presentation of Dancing at Laughnasa is everything a moving story needs to do to tap the core what it means to be human. You’ll not forget these characters for a long, long time. “In that memory, atmosphere is more real than incident and everything is simultaneously actual and illusory,” asserts a changed Michael. These words perfectly summarise the late great Brian Friel’s Dancing at Lughnasa. Caught up in the domestic, parochial scenes of 1930s Northern Ireland in the fictional Ballybeg, Krista Jackson’s direction of this homestead classic is a traditional and fitting homage to the great Irish writer through its creation of a solid and audience-infiltrating atmosphere. Situated in the home of the Mundy family, Dancing at Lughnasa is a memory play told from the perspective of the narrator, played sensitively by Patrick Galligan, as he reflects on a particular summer from his childhood. His absence from the scenes as a child is a constant reminder to the audience that they are viewing a memory and makes for a personal story. The set is minimistically homely with the exception of a most notably the Marconi wireless radio, are symbolic in many ways of the blurring of lines between rural and modern life. The intimacy of the Royal George Theatre allows the space to reflect that of the close-knit, provisional Ballybeg, particularly in the dance scenes where the pent-up energy of the Mundy sisters explodes out of the interior set, through the doorway and into the garden space. It’s this visual, vital to the message of the play, that symbolizes the stagnancy and mundaneness of everyday life through their transportation of the adults to a happier, more innocent time. 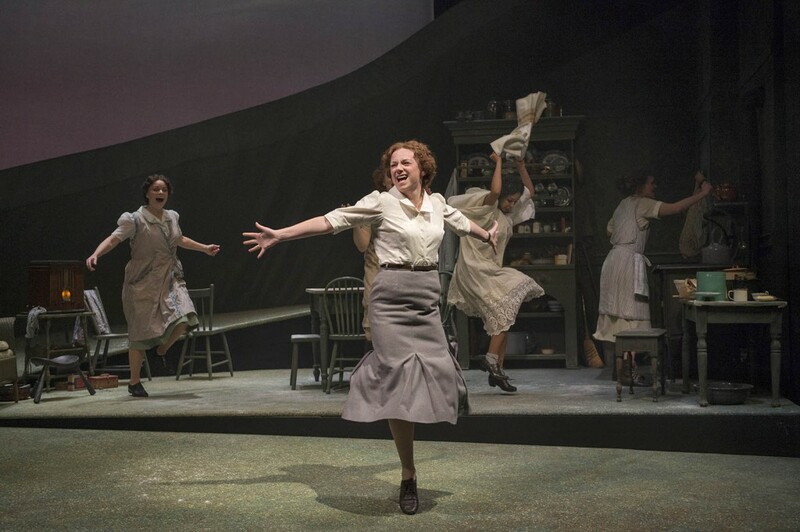 Dancing at Lughnasa is not to be missed. It brings together all the important and individual elements of this play to celebrate the mastery of Brian Friel. A traditional production with impressively authentic accents, staging and acting makes for a play that is both saddening and tranquilly nostalgic.